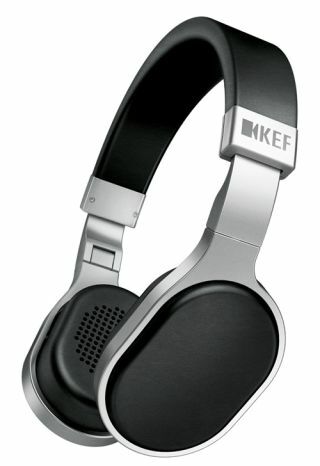 KEF joins the headphone market with M500 and M200 | What Hi-Fi? KEF is the latest hi-fi company to join the headphone market with the launch of the M Series headphones, the M500 over-ear and the M200 in-ear models. The company claims to have brought its extensive experience in speaker design to the portable market, blending its audio expertise with high-quality industrial design and manufacturing to deliver the new M Series headphones. The over-ear M500s, selling for £250, use a full-range 4cm driver with a neodymium magnet and light, copper-clad aluminium voice coil tuned by KEF's engineers to deliver "a powerfully musical sound with tight, clean bass". A precision-engineered aluminium frame, with breathable and sweat-resistant memory foam earpads and headband, features a 'smart hinge'. Unlike other headphones that require two hinges to fold and rotate the earpads, the M500's smart hinge rotates on two axes, so they can easily be folded up for carrying around in the hard case provided. Also new from KEF are the £150 M200 in-ear headphones, which use Dual Dynamic Driver technology – a two-way system with a 1cm driver for the bass and a 5.5mm neodymium-magnet driver for midrange and high frequencies – housed in an aluminium enclosure. A rubber 'secure arm' hooks over the ear to keep the M200s securely in place. Both models include an inline mic and volume controls for making and receiving phone calls from your smartphone, and adjusting music volume. The M Series are also compatible with the Cenelec standard for protection against hearing damage caused by excessive volume levels.